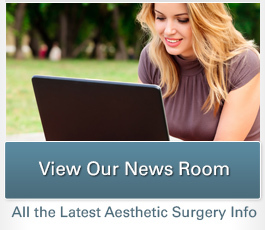 Designed to provide informative and entertaining content on health, beauty, and lifestyle issues for residents of Los Angeles, Southbay Magazine can be an excellent resource for patients seeking insight into the latest trends in cosmetic enhancement. Dr. Christine Petti, our extensively trained plastic surgeon, recently sat down for a Q&A with the magazine and, in the course of a full-length feature, revealed her beauty philosophy, personal tips for natural-looking rejuvenation, and her commitment to giving back. During the conversation, Dr. Petti emphasized the altruistic purpose of cosmetic surgery, which often can be dismissed for being superficial. She explained that she has helped patients regain a sense of self-esteem and well-being following domestic violence, describing one woman following a revisional breast augmentation as, “Confident, exuding a youthful spirit and purging her past as a battered woman.” Dr. Petti’s commitment to her patients has also earned her numerous community awards, including Best Cosmetic Surgeon in the South Bay and Best Medical Day Spa for Spa Bella. 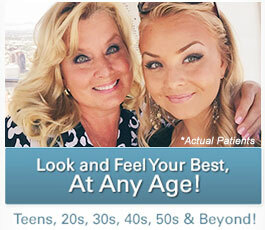 Of course there’s no shame in wanting to maintain natural-looking youthfulness. Dr. Petti establishes her personal beauty philosophy in the interview, noting that, “The desire to have cosmetic surgery—it is not vanity. It is preservation, like preserving an iconic work of art.” By prioritizing individuality in her treatment plans and techniques, she typically can provide subtle enhancement of the most valuable object anyone can ever own—their own body. Dr. Petti is delighted to have another opportunity to chat with Southbay Magazine, and she hopes the readership will learn something new about her as well as what can be accomplished with modern facial, skin, and body rejuvenation treatments. For more information about Dr. Petti’s interview with Southbay Magazine or to schedule a consultation, please contact us today.